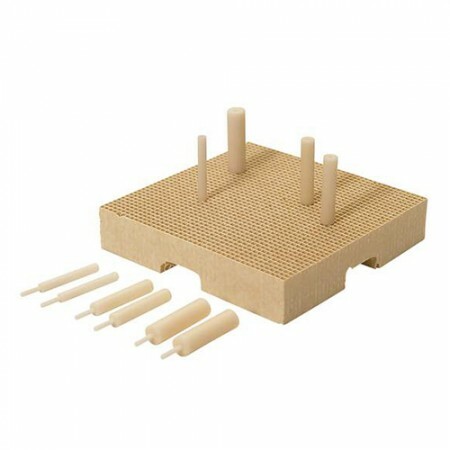 Firing tray with porcelain supports for individual positioning of crowns and bridges in the porcelain oven. Construction ensures a similar expansion / contraction like the object. No transfer of tension to the model.